Retaining walls have vital functions in residential and commercial properties, so they must be designed and built by professionals. 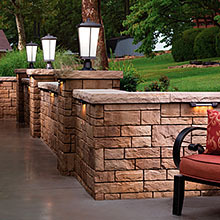 These walls make outdoor spaces safer, more attractive, and more favorable for outdoor activities. But when built by inexperienced builders, they can become eye-sores and safety risks. Collapsing walls may cause injuries and damage to properties due to the volume of eroding soil. 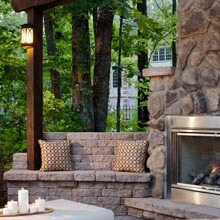 If you don't want these things to happen in your backyard, call an expert retaining wall builder like us at Saratoga Pavers. 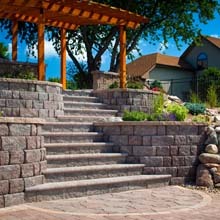 We have the experience and tools needed to make reliable and stunning retaining wall structures. Our clients are guaranteed of a stunning wall design that can last a lifetime. 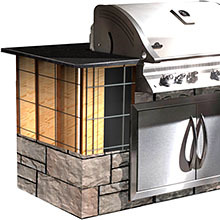 Call us at (408) 621-1248 to get our installation services. 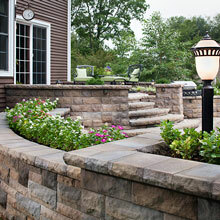 The quality of the wall blocks is another important factor to consider when building a retaining wall. The blocks must be top-quality and sourced from leading manufacturers in the country. 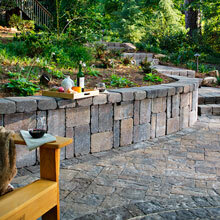 One of the best brands that we highly recommend to our clients is Belgard. 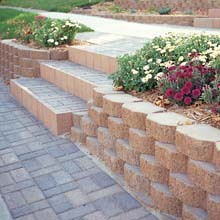 The company offers top-notch segmental retaining wall blocks. This particular type is proven durable and long-lasting because of its innovative design. It is easy to install and guaranteed a low-maintenance material. 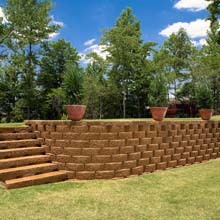 You can also build taller retaining walls without needing any structural reinforcement. The segmental blocks are available in a wide range of colors, sizes, and finishes. You can get the perfect design for the garden area or create an Old World design for your newly created outdoor living space. 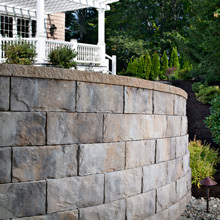 Some of the top-notch retaining walls that we highly recommend here at Saratoga Pavers are Tandem, Weston Stone, Celtik, Sheldon, Rampart, Anchor, and Belair walls. 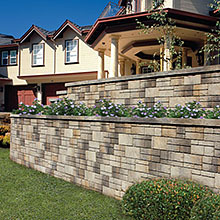 Contact us to get more information about these retaining wall designs.